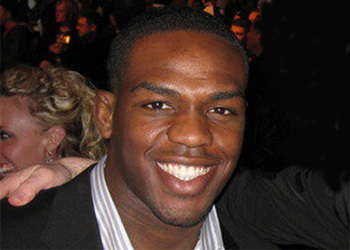 Have you heard about how ridiculously nasty that Jon Jones is? After witnessing the future UFC light heavyweight champion’s destruction of veteran Vladimir Matyushenko, seats aboard Bones’ bandwagon sold out quickly. Unfortunately for fanboys across the globe, Jones won’t be behind the wheel. “To be honest, [the expectations] really do bother me,” Jones admitted after collecting his 11th victory in 12 tries. “It makes me really nervous sometimes. I was starting to beat up myself and say, ‘OK, not only do I need to win this fight, but I have to impress people and look spectacular. Well, you know what they say about pressure, right? It either busts pipes or makes diamonds, and this dude’s future is bling blinging brighter than any MMA fighter that has come before him. Despite his vicious game and beastly physique, the 23-year-old is able to compartmentalize the unprecedented hoopla by remaining a kid at heart. In the look-at-me-now world professional sports has become, it’s refreshing a youngster understands exactly what’s at stake. Not only is he smart enough to seek advice from those more experienced, he’s humble enough to heed their words of wisdom. While most peeps his age are dumbfounded if you were to ask them what their future entails, Jones has his sights set squarely on becoming MMA’s G.O.A.T. That might be a good thing because the way the Bones Express is steamrolling, anything less may be unacceptable. Just don’t hate on Jones for it. Remember, he’s not even a passenger.